Why 'GQ' Doesn't Want Russians To Read Its Story Scott Anderson's piece in the September issue of the magazine challenges the official line on a series of bombings that killed hundreds of people in 1999 in Russia. Although no issues have been raised to date about the article's accuracy, GQ management is trying to prevent Russians from reading it. 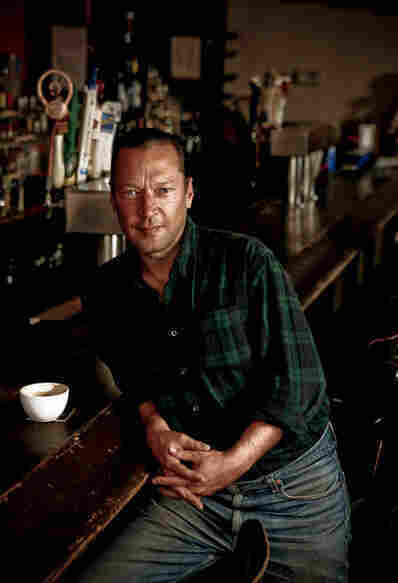 Scott Anderson, a veteran war correspondent, says he's disappointed GQ was frightened of circulating his story. "If you're worried about repercussions and you bow to them, you're basically surrendering to the other side." It was the reception his story ultimately received in the United States. "It was quite mysterious to me," Anderson says. "All of a sudden, it became clear that they were going to run the article but they were going to try to bury it under a rock as much as they possibly could." Anderson, 50, is an accomplished reporter and novelist who has written previously for Harper's Magazine, The New York Times Magazine, and Vanity Fair. His investigative piece, published in the September American edition of GQ, challenges the official line on a series of bombings that killed hundreds of people in 1999 in Russia. It profiles a former KGB agent who spoke in great detail and on the record, at no small risk to himself. But instead of trumpeting his reporting, GQ's corporate owners went to extraordinary lengths to try to ensure no Russians will ever see it. Conde Nast owns Vanity Fair and GQ as well as other publications, including Russian versions of GQ, Glamour, Tatler and Vogue. On July 23, Jerry S. Birenz, one of the company's top lawyers, sent an e-mail memo to more than a dozen corporate executives and GQ editors. "Conde Nast management has decided that the September issue of U.S. GQ magazine containing Scott Anderson's article 'Vladimir Putin's Dark Rise to Power' should not be distributed in Russia," Birenz wrote. He ordered that the article could not be posted to the magazine's Web site. No copies of the American edition of the magazine could be sent to Russia or shown in any country to Russian government officials, journalists or advertisers. Additionally, the piece could not be published in other Conde Nast magazines abroad, nor publicized in any way. It wasn't just that there was no reference to Anderson's piece on the cover of this month's GQ, which featured a picture of Michael Jackson, a reference to tennis star Andy Roddick's wife and a ranking of obnoxious colleges and top drinking cities. At this writing, I cannot find any reference to Anderson's piece on the Internet. The idea that information can be sequestered at a time when people can communicate instantly across oceans and continents may seem quaint. But in this instance, Conde Nast sought, against technology, logic and the thrust of its own article, to show deference in the presence of power. Lawyers, executives and editors at Conde Nast and GQ did not respond to repeated requests for comment this week, and a spokesman ultimately declined on their behalf. But NPR has spoken to several people knowledgeable about the handling of Anderson's piece. No issues have been raised to date about the article's accuracy. 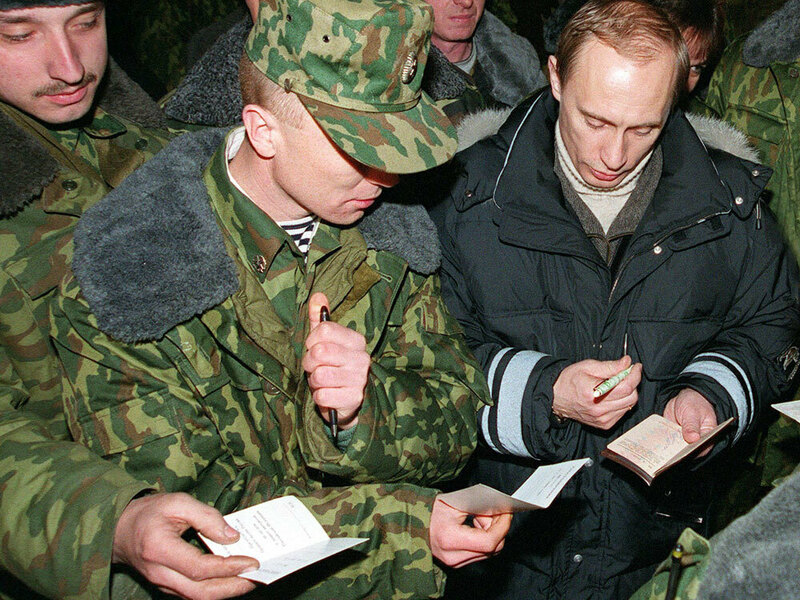 Then-acting Russian President Vladimir Putin signs autographs for Russian soldiers, east of the Chechen capital, Grozny, in January 2000. Putin, who took over office after President Boris Yeltsin resigned a day earlier, visited Russian forces in Chechnya to praise them for the campaign to crush separatist rebels. To understand why Conde Nast might have reacted the way it did, it's worth remembering the subject of the report — and the context in which it is now being written. Back in September 1999, Chechen terrorists were blamed for the attacks. The new prime minister, Vladimir Putin, emerged from the shadows and consolidated power. A crackdown ensued and a second war was launched against Chechnya. Putin took over from President Boris Yeltsin soon after the new year. Chechen separatists have been known to commit deadly terrorist acts. Hundreds of Russians were killed after the takeover of a school in Beslan, Russia, while more than 100 other people died at a Moscow theater after a siege by Russian forces seeking to liberate it from Chechen gunmen. But in today's Russia, says Nina Ognianova, the program director for Europe and Central Asia at the Committee to Protect Journalists, the origin of the 1999 bombings is a taboo topic. And she says Russian authorities often turn up the heat on reporters who stray into unwelcome terrain. "You can be sued for defamation — but you don't even have to be sued. You can be audited," Ognianova says. "Politicized audits are a big hurdle for publications that dare to publish sensitive topics." Those audits can focus on just about anything — including fire codes — that could paralyze a publication for months and send advertisers fleeing. That's a consequential result for media companies that see foreign publications as increasingly important sources of revenue. Journalists in Russia do fear retribution. Ognianova will be in Moscow on Sept. 15 to release a CPJ report about 17 journalists who have been killed since 2000. There have been convictions in only one case. One of the most prominent killings involved an American citizen of Russian descent who was editor of Forbes' Russian-language magazine. And other critics have been silenced as well — most notably Alexander Litvinenko, another former KGB agent who claimed the Russian security services were tied to the terror attacks of 1999. Litvinenko died in England after being poisoned with radioactive polonium. 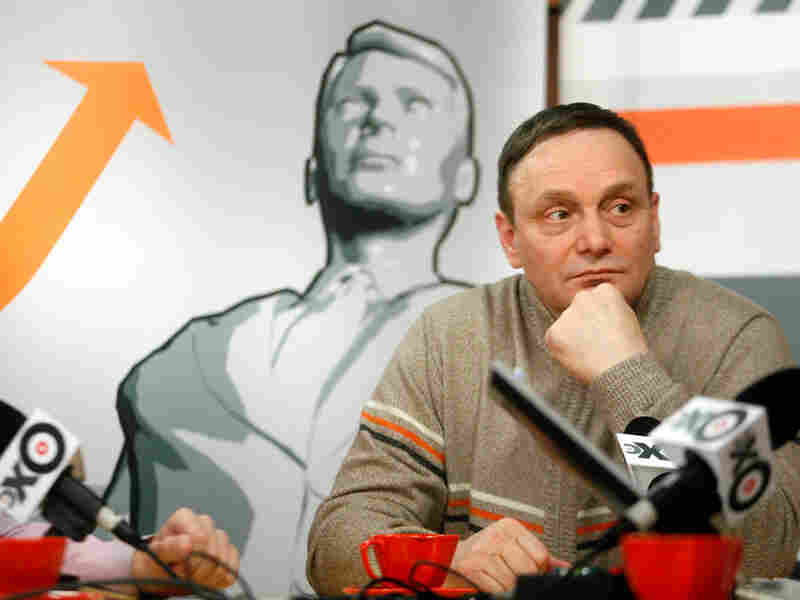 Mikhail Trepashkin, a former senior Russian intelligence agent, in Moscow in 2007. But Conde Nast's Birenz did not raise security issues in his memo. And Anderson says he was not told of any safety matters by the company, just concerns of lawyers. "If you're worried about repercussions and you bow to them, you're basically surrendering to the other side," Anderson says. Jane Kirtley, an attorney who is a professor of media ethics and law at the University of Minnesota's journalism school, says Conde Nast's position makes no sense as a matter of pragmatism or principle. "On one level, the smart thing is to stay in business and to stay in Russia, of course," Kirtley says. "But these stories will get out, they will get read in Russia. They're being somewhat naive to believe that by limiting this to their American edition that somehow they're preventing this from being read." More important, she argues, is Conde Nast's failure to live up to its professional obligations. "It goes with the territory of a news organization to speak for those who can't speak — and to bear the consequences," she says. Anderson had never hidden his subject from editors at GQ when they approached him to write something about Russia. His ensuing six-page story centered on Mikhail Trepashkin — a former KGB agent who had investigated the bombings. Trepashkin spoke at length about the inconsistencies in the case — and about possible links between the bombings and to the security agency that Putin once headed. Trepashkin himself has ties to a controversial Russian billionaire and recently spent several years in jail before being released. But Amnesty International said he had been treated unjustly and said the charges against him appeared to be politically motivated. "Here's a guy who spent four years in prison on a trumped-up, really rather silly charge (that) was a direct result of the investigative effort he's made on these bombings," Anderson says. "Now he's out — he's certainly kind of walking around with a bullseye on his back — and yet is still willing to tell the story." "I think it's really kind of sad," Anderson says. "Here now is finally an outlet for this story to be told, and you do everything possible to throw a tarp over it." GQ editors were also told not to promote the story, but in an act of quiet defiance, the magazine sought publicity for Anderson's article from a few news outlets, including NPR's All Things Considered. Anderson was also asked to refuse to syndicate the article to any publications that appear in Russia once the rights revert back to him. He says he acknowledged the request, but told GQ he would refuse to honor it.